Ronkonkoma, NY – April 3, 2019 – Sigma Corporation of America, a leading still photo and cinema lens, camera, flash and accessory manufacturer, is pleased to announce its latest lens introductions and newly formed technology alliance, of which Sigma is a part, have been honored by the Technical Image Press Association (TIPA) with TIPA World Awards. Sigma 40mm F1.4 DG HSM Art ($1,399.00) won as the Best DSLR Prime Lens, Sigma 60-600mm F4.5-6.3 DG OS HSM Sports ($1,999.00) took the title of the Best DSLR Telephoto Zoom Lens, and Sigma 70-200mm F2.8 DG OS HSM Sports ($1,499.00) received the accolade of the Best DSLR Professional Zoom Lens. The innovation behind the L-Mount Alliance comprised of Leica, Panasonic and Sigma was recognized with the Special Industry Award. The TIPA World Awards distinguish the best products in the photo imaging market introduced during 2018-2019. These prestigious awards serve as an important benchmark and guide for consumers in making their purchasing decisions. The full list of the 2019 TIPA World Award winners can be found here. 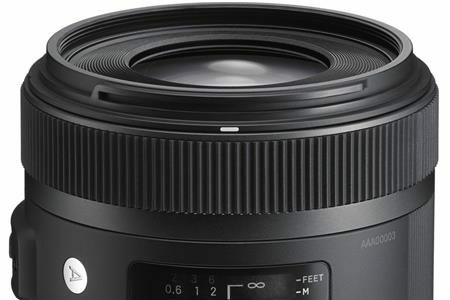 The Sigma 40mm F1.4 DG HSM Art is Sigma’s first lens developed originally to live up to the sought-after angle of view and performance standard for a benchmark cine lens. With less than 1% distortion and near non-existent sagittal coma flare, this lens demonstrates consistent optical results featuring both 8K-compatible resolution and a beautiful bokeh. It is available now for Sigma, Nikon, Canon and Sony E-mount camera systems. The development of a native L-mount version has also been announced. The Sigma 60-600mm F4.5-6.3 DG OS HSM Sports is the world’s first 10x optical zoom telephoto lens with a tele end of 600mm. It offers excellent and consistent image quality, which is achieved throughout the entire zoom range. Its intelligent OS featuring the latest algorithm delivers an image stabilization effect of four stops. When shooting at the focal length of 200mm, this lens can also be used for telephoto macro photography, with a maximum magnification ratio of 1:3.3, thanks to its high rendering performance. Its multi-material build, which incorporates magnesium among other components, ensures durability and enhances portability, allowing for comfortable handling of the 10x zoom lens. The Sigma 70-200mm F2.8 DG OS HSM Sports is Sigma’s flagship large-aperture telephoto zoom lens that meets the most stringent needs of professional and advanced enthusiast photographers. Robust yet lightweight, the lens’ magnesium body ensures high mobility and its dust- and splash-proof structure together with the water- and oil-repellent coating on the front element ensure safe use even in the most challenging shooting conditions. It also incorporates intelligent optical stabilization with an acceleration sensor and the latest algorithm capable of panning in all directions. The lens’ optical design, incorporating 10 exclusive low-dispersion glass elements, allows for extremely high resolution, from the center to the corners. By optimizing spherical aberration, a smooth and natural bokeh effect is achieved when using the Sigma 70-200mm F2.8 DG OS HSM Sports for portrait photography. Available April 2019, the Sigma MC-21 can already be pre-ordered. Sigma MC-21 Mount Converter/Lens Adapter (Canon EF-Mount Lenses to Leica L) – $249 – B&H Photo | Adorama. Available in April 2019, the new accessory ensures compatibility of the Sigma lenses in EF and SA mounts with the L-Mount camera systems. Ronkonkoma, NY – March 29, 2019 – Sigma Corporation of America, a leading still photo and cinema lens, camera, flash and accessory manufacturer, today announced pricing and availability for the new Sigma Mount Converter MC-21, offering photographers a wider range of lens options for L-Mount cameras from Sigma, Leica and Panasonic. The SigmaMC-21 will start shipping in April 2019 and will be priced at $169.00 USD for Sigma SA-L mount and $249.00 USD for Canon EF-L mount. The Sigma Mount Converter MC-21 allows for Sigma’s SA mount and Canon EF mount lenses to be used on L-Mount camera bodies. By attaching MC-21 to a Sigma SA mount or Sigma Canon EF mount lens, it becomes compatible with the L-Mount camera system without compromising usability and image quality. The development of Sigma MC-21 increases the number of interchangeable lenses manufactured by Sigma to be used with the L-Mount systems by 29, offering a total of 40 lens choices, including 11 DG Art primes with native L-mount. The addition of MC-21 to the Sigma accessory lineup will increase the accessibility of the L-Mount system and further Sigma’s role in the strategic L-Mount Alliance alongside Leica and Panasonic. The full list of compatible lenses and technical specifications can be accessed here and product imagery can be downloaded here. The lower price for the Sigma MC-21 in Sigma SA-L mount reflects the company’s appreciation for the loyal Sigma camera users as the MC-21 in Sigma SA-L mount allows for Sigma SA mount lenses to be used on any L-Mount camera body. Eventually, Sigma will aim to replace its SA mount lenses with the native L-mount versions, but until then, Foveon shooters can rely on the existing offering of Sigma MC-21 at a lower price point to ease the transition to the new system. The folks at LensVid had the chance to visit Sigma’s Aizuwakamatsu factory in Japan. SIGMA’s factory in Aizuwakamatsu is the home of 1400 employees, some parts of the factory work 24 hours non-stop and the employees work in 9-hour shifts. SIGMA’s headquarters in Kawasaki employs 200 more people, over 75% of which are engineers in different R&D departments. This follows SIGMA’s motto to keep management as lean as possible. Arriving at the factory in Aizuwakamatsu, we were greeted by SIGMA’s Service & Support section chief, Mr. Manabu Sato, he is going to be our host in this factory tour. We started by going to one of the conference rooms for a short introduction to SIGMA’s history, put on our hats and coats and went to meet the engineers. It’s worth mentioning that in no part of our visit we were required to wear protective gear or noticed any scent of volatile materials, the factory is very well ventilated and it feels that SIGMA is working hard to make the factory as safe as possible to their employees. Thank you for purchasing and using our products. We would like to announce that a new firmware update for SIGMA’s interchangeable lenses for CANON EF mount listed below is now available. This firmware allows compatibility with Canon’s in-camera Lens Aberration Correction function to enable correction matching the optical characteristics of each lens. It also corrects the phenomenon that abnormal images appear or operation errors occur when the function is enabled. In addition, it improves the functionality. Furthermore, there is an improvement to the phenomena particular to some lenses when they are used in combination with the Canon “EOS R” and their “Mount Adapter EF-EOS R”, or “Control Ring Mount Adapter EF-EOS R”. This was previously reported in our announcement of January 16th, 2019. ・It has corrected the phenomenon that abnormal images appear or operation errors occur when Canon’s in-camera Lens Aberration Correction function is enabled. ・It has improved the AF accuracy when the lens is used with Live-View mode. ・When the lens is used in combination with the Canon “EOS R” and their “Mount Adapter EF-EOS R”, or “Control Ring Mount Adapter EF-EOS R”, it has become compatible with EOS R’s “1.6x (Crop)” to be set automatically as well as with “Scene Intelligent Auto Mode”. [Applicable product]・SIGMA 24-70mm F2.8 DG OS HSM | Art for CANON EF mount [Benefits of the update]・When the lens is used in combination with the Canon “EOS R” and their “Mount Adapter EF-EOS R”, or “Control Ring Mount Adapter EF-EOS R”, it has corrected the phenomenon whereby restarting the camera does not work when the lens is taken off the camera while the lens’s OS function is in operation. ・When the lens is used in combination with the Canon “EOS R” and their “Mount Adapter EF-EOS R”, or “Control Ring Mount Adapter EF-EOS R”, it has corrected the phenomenon whereby it may stop the focus driving from infinity to closer focus distance while shooting video with AF. ・It has improved the AF accuracy when the lens is used with the SIGMA MOUNT CONVERTER MC-11 EF-E. [Applicable product]・SIGMA 150-600mm F5-6.3 DG OS HSM | Contemporary for CANON EF mount [Benefit of the update]・It has improved the stability of the image in the viewfinder, making it easier to confirm composition, thanks to the updated control algorithm of the Optical Stabilizer. [Applicable product]・SIGMA 85mm F1.4 DG HSM | Art for CANON EF mount [Benefit of the update]・When the lens is used in combination with the Canon “EOS R” and their “Mount Adapter EF-EOS R”, or “Control Ring Mount Adapter EF-EOS R”, it has corrected the phenomenon whereby it may occasionally show overexposure when narrowing down the aperture from F8 while shooting. *1 When the Digital Lens Optimizer is switched [OFF], but “Peripheral illumination correction”, “Chromatic aberration correction” and “Distortion correction”, located within the in-camera Lens Aberration Correction function is switched [ON], the appropriate corrections can be achieved in accordance with the optical characteristics of each lens. For further information, please contact your nearest authorized SIGMA subsidiary / distributor. We appreciate your continued support for our company and products. 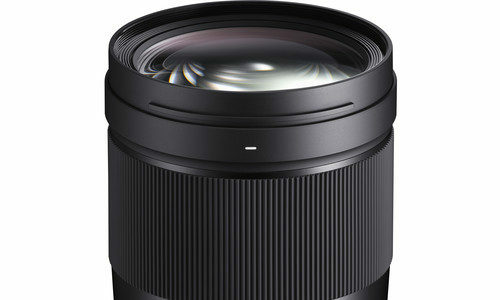 Only for today (2/28/19) B&H Photo has the Sigma 14-24mm f/2.8 DG HSM Art Lens on sale at $929. Free shipping. Nikon mount version also discounted. Canon Europe & UK stores have a cash back promotion going on. Today’s Gold Box and one day only deals at Amazon US, Amazon DE, Amazon UK, B&H Photo, eBay, Adorama. 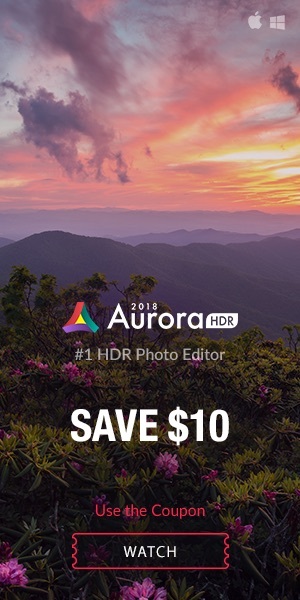 Save $10 on Luminar 3 and/or Aurora HDR 2018 using our code “WATCH” at checkout. 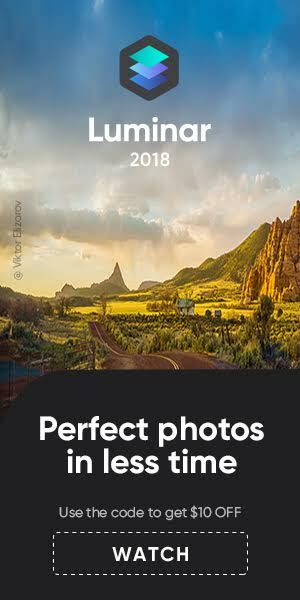 Get 10% discount on Capture One 12. All you have to do is to use the coupon code “AMBCW” when checking out from Phase One’s web store. If you still wonder if the L-mount is to be taken seriously, be assured it is. 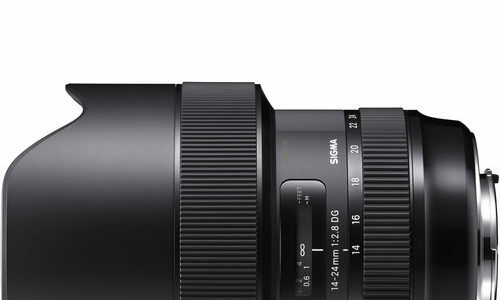 Sigma thinks it is, and announces an L-mount version of 11 of their Art lenses. They also announced the Sigma Mount Converter MC-21, which allows you to mount Canon EF lenses on an L-mount system. Ronkonkoma, NY – February 26, 2019 –Sigma Corporation of America, a leading still photo and cinema lens, camera, flash and accessory manufacturer, today announced 11 of its Art prime lenses will soon be available in L-Mount. Sigma also announced the launch of the Sigma Mount Converter MC-21, which will allow Sigma’s SA mount and Canon EF mount lenses to be used on the L-Mount camera bodies. 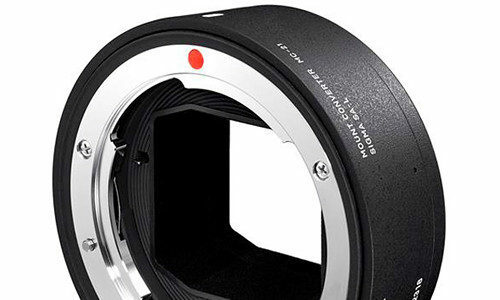 The expansion of the beloved Sigma prime lens line along with the MC-21 converter will increase the extensibility of the L-Mount system and further Sigma’s role in the strategic L-Mount Alliance alongside Leica and Panasonic. The L-Mount lineup consists of 11 Art prime lenses for full-frame cameras ranging from 14mm to 135mm, allowing Sigma’s award-winning high-performance lenses to be enjoyed by even more shooters on L-Mount cameras. The lineup features high-speed AF and is fully compatible with AF-C mode, in-camera stabilization and in-camera aberration correction. The native L-mount allows for a much more stable feel than using an adaptor. Additionally, the lenses are equipped with a surface treatment to enhance strength, a brass bayonet mount offering exceptional durability, and rubber sealing at the mount connection for dust- and splash-proof construction. Full technical specifications are available here and images here. Pricing and availability will be announced later. The Sigma Mount Converter MC-21 allows Sigma’s SA mount and Canon EF mount lenses to be used on L-Mount camera bodies, allowing more freedom of choice for L-Mount cameras from Sigma, Leica and Panasonic. The MC-21 increases the number of interchangeable lenses manufactured by Sigma to be used with the L-Mount system by 29 lenses. Find the full list of compatible lenses and technical specifications here and images here. Pricing and availability will be announced later.